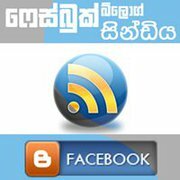 This entry was posted by Sanjaya on October 9, 2011 at 6:52 pm, and is filed under අපේ වැඩ, සිංහල. Follow any responses to this post through RSS 2.0.You can leave a response or trackback from your own site. Thankz for linking my post. සුපිරි ඈ…….. ආයෙම තව මේ වගේ දැනුම බෙදාගන්න පුලුවන් දේවල් සංවිධානය කරන්න..
අවංකවමයි…මේක සාර්ථකව ඉවර වුණාම හිතට මාරම මානසික තෘප්තියක් ආවා..
නියමයි සංජය අයියෙ… great work…!! !